Please click to open the below Keyboard Layout and then right-click to save into your computer. Or you can print right away without downloading or saving. 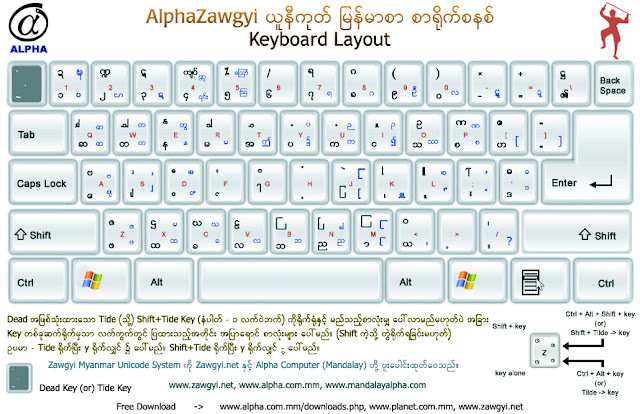 This layout really solves your problems of forgetting where the alphabets are located on which key. 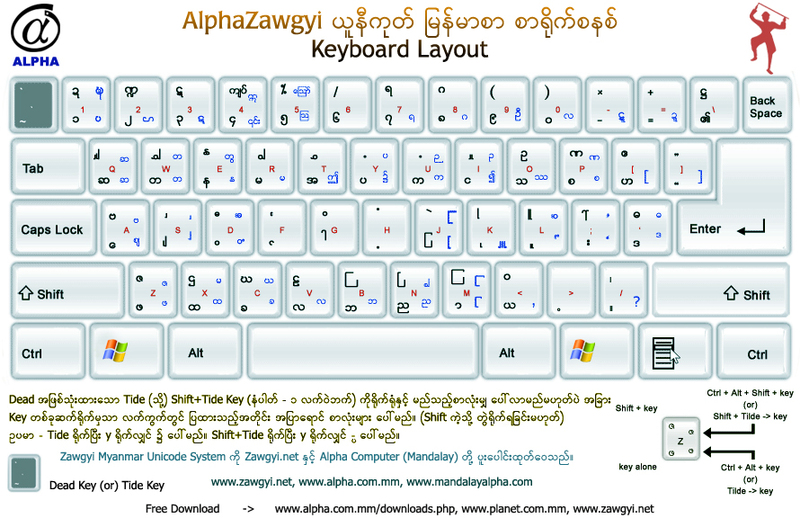 The AphaZawgyi Keyboard Layout is widely used to be referred by AlphaZawgyi Keyboard users who love simple and neat keyboard to type Myanmar texts. The instructions attached on the layout are very short and clear to understand.